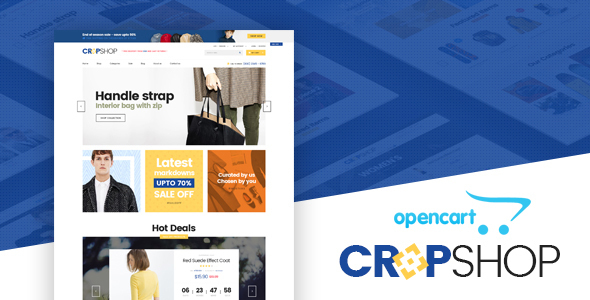 Lexus CropShop is a creative & powerful Opencart theme dedicated designed for Fashion website. The eCommerce fashion theme includes multiple pre-made unique demos, built-in eCommerce features, all shop pages are well-styled and number of additional pages: Blog, Contact, About, etc. It is powered with advanced features: Megamenu and Vertical Megamenu, search & filtering system, live theme editor. The Fashion Opencart theme is buit with powerful Opencart framework – Pav Framework 4 and outstanding Drag and Drop Page Builder with 50+ Opencart widgets integration to build stunning pages in minutes. The theme is easy to customize based on intuitive theme control panel with ultimate core features built-in: Theme setting, megamenu builder, live theme editor, CSS development, compression, etc. Lexus Medicare is SEO friendly and optimized codebase to maximize your site performance. Pav Layer Slider – the best slideshow module for Opencart with outstanding design and super intuitive admin panel.